One hundred and twenty-five years in the making. A game, a sport, a ritual, the ceremonies and common language that unifies an international family. And so much more. Notre Dame has always played by its own rules. 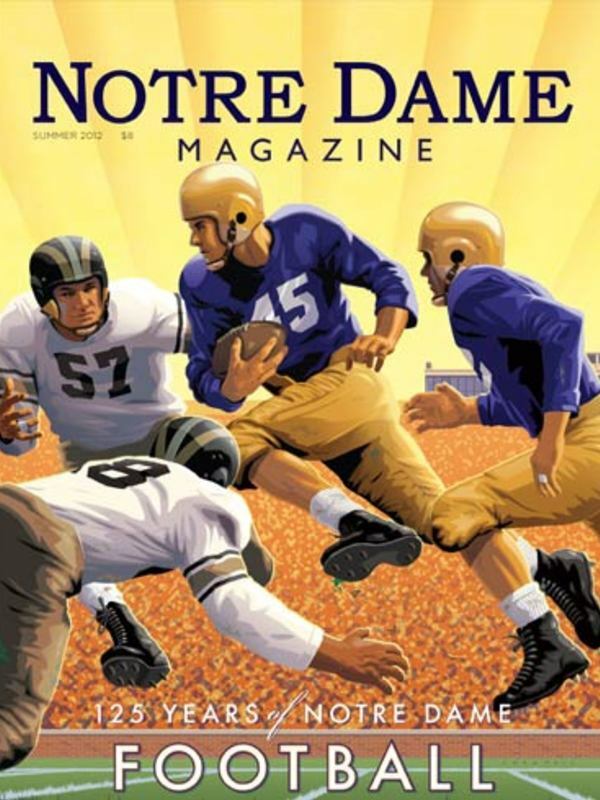 Have the tidal shifts in college football finally doomed the independent Irish? 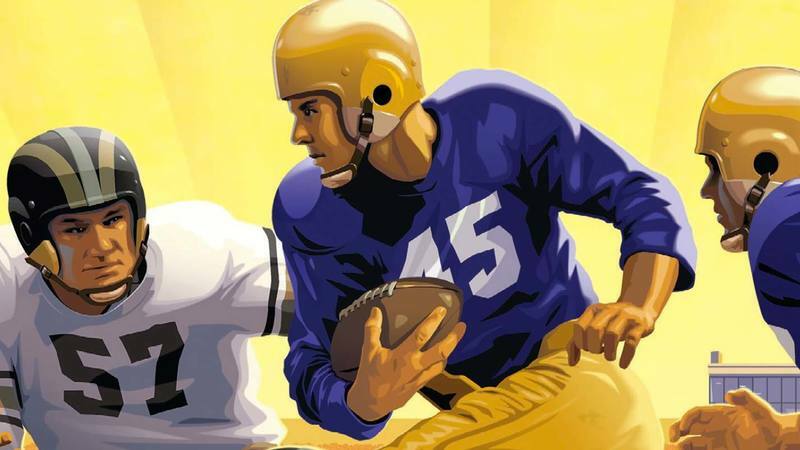 Leahy’s Lads — many of whom had seen combat in World War II — saw their gridiron mission as a battle for survival, duty and honor, finding glory as a team for the ages. We have only so long to ask the questions we need to ask, have the conversations we need to have, spend the time we need to spend and heal whatever hurt our hearts are holding. by John I. Jenkins, CSC, ’76, ’78M.A. Notre Dame’s president asks the graduating class at Wesley Theological Seminary to use their calling and their faith to reduce the hatred that divides us. William Kennedy, one of the foremost Catholic novelists of our time, has turned his light on injustice and racism, the powerful and oppressed, and on the redemptive power of love, family and our essential humanity. A Minnesota pilgrim seeks enlightenment by biking the river road.